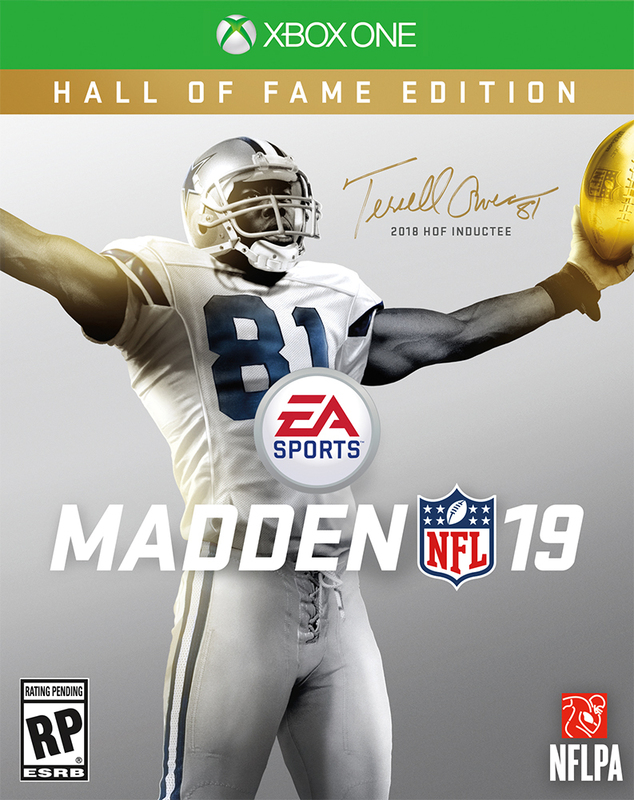 Terrell Owens is back in uniform on the cover of the Hall of Fame Edition of Madden NFL 19. The former wide receiver is a 2018 Pro Football Hall of Fame inductee who played 16 years in the league. He earned six Pro Bowl selections and had 15,934 career receiving yards. Owens made the big announcement in a mock press conference with plenty of NFL hats as if he was choosing a new team. The 44-year-old played for the 49ers, Eagles, Cowboys, Bills and Bengals. Owens is wearing a Cowboys uniform on the cover of the game. The Hall of Fame edition will be released Aug. 7 with Madden NFL 19 hitting shelves Aug. 10. The cover athlete will be announced later in the summer.